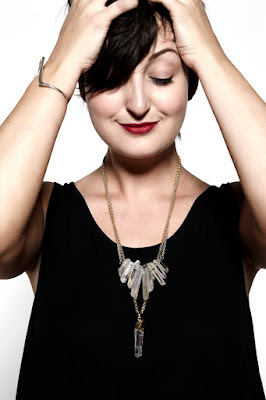 Janis Galloway is the Founder of Dress Me Dearly, a fashion blog based in Edmonton, Canada. Janis' focus is all about community, and readers have come to love Dress Me Dearly for its local content profiling Alberta's emerging fashion, arts and cultural scene along with a spattering of personal style posts. In between blog posts, Janis works as a fashion publicist at Publicity Room, Alberta's first PR agency specializing in fashion and lifestyle brands. She's also a wardrobe stylist, freelance style writer and the Edmonton Simons Fashion Ambassador. Dress Me Dearly has been voted Edmonton's Best Fashion Blog by Vue Weekly readers three years in a row, in 2012 recognized by FASHION Magazine as one of the top 10 Alberta fashion blogs and in 2010, named one of the Top 15 Canadian Fashion Blogs by Fashionism.ca. I have enjoyed reading your posts. I love fabric and sewing happy clothes for my grandchildren. In a much younger life I think I could have gone Steam Punk. It is so brave and imaginative! I was very shy as a teen, but I loved to explore my own style by sewing my own clothes. Thank you for what you do.